2. Search category: select a particular category and click on search. 3. Search by brand: Type the brand name in the box and click on search. 4. Search by SKU: Type the SKU value and click on search. 5. Search by price: Select the price range, insert the value required and click on search. Click on “search product” after the filtration is done. 1. 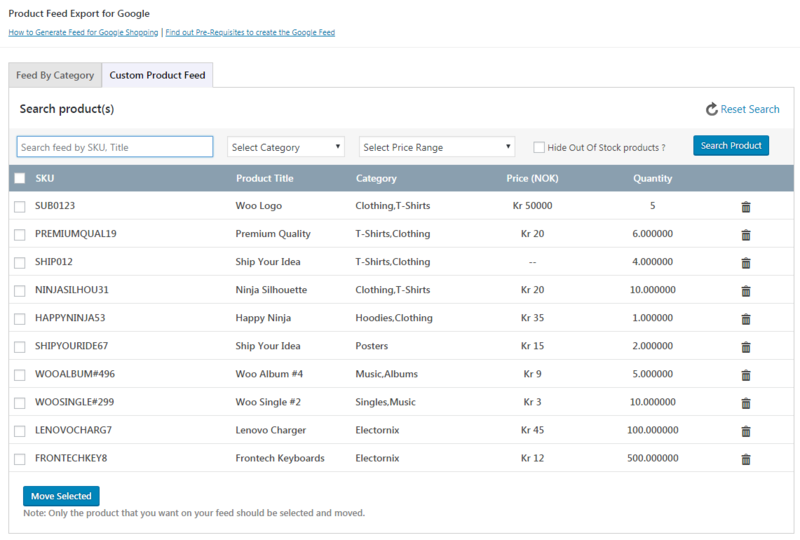 Once you have search results, the selected products will be listed. This will move the selected products into a feed. Note: If you need any extra setting like inserting default values for attributes or using the advanced command, you can use the feed config option or the feed customization options. 3. Generate the data feed by clicking “Get Feed”. 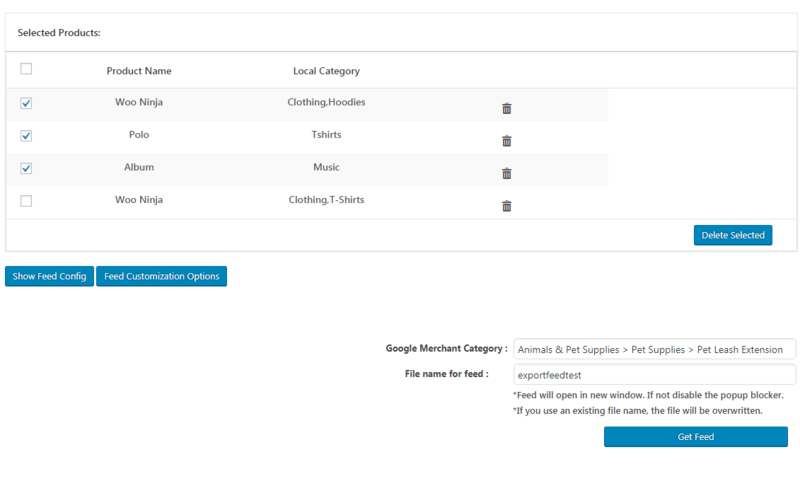 A new window will contain your products in XML, CSV or TXT format. Ensure that your browser allows pop-ups from your website. Your feed is created successfully now. Go to “Manage feed” to edit the feed settings and changes.